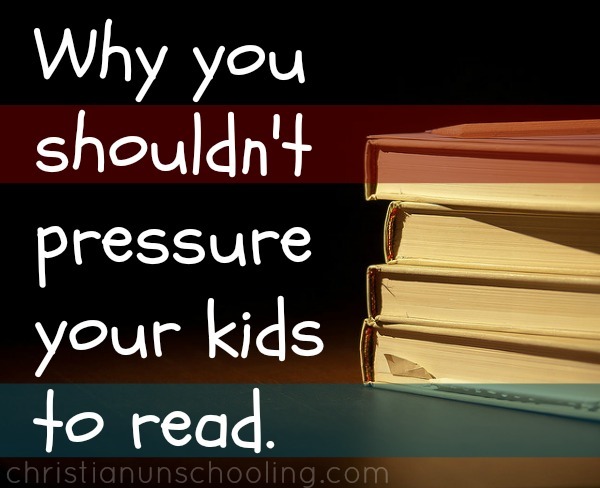 We shouldn’t pressure kids to read so young. That’s what I believe, at least. I’m afraid I failed at this with my first child (oh, the poor guinea pig). I had never heard about unschooling back then and when we began “homeschooling” kindergarten I was too forceful and frustrated with her reading lessons. The tears. Oh, the tears. Thank God (literally) she still turned out to be a voracious reader and wasn’t too scarred by the process.